Remember Turing Robotic Industries, the company that promised to build a smartphone with end-to-end encryption and a durable ‘Liquidmorphium’ body? That plan didn’t quite pan out, but the company is back with a new name – and a new device in the works. 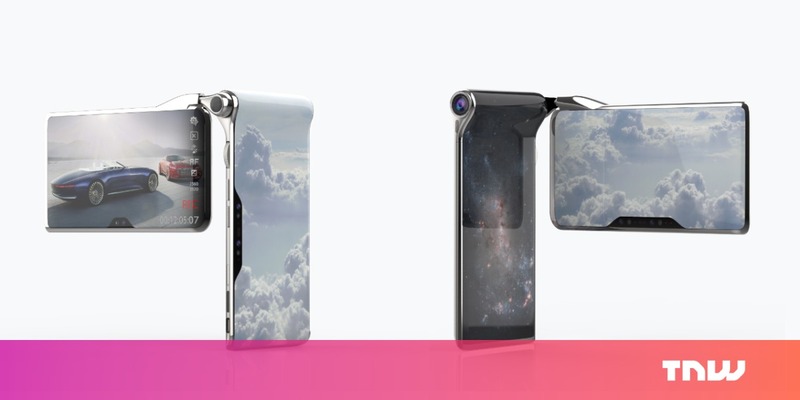 The Hong Kong-headquartered firm is now called Turing Space Industries (TSI), and it’s just unveiled the HubblePhone, a wildly inventive mobile device that’s slated to ship in 2020. The company describes it as a 5G-capable Android device with separate AMOLED displays on two ‘decks’ that swivel around to allow for various shooting and viewing modes, a 60-megapixel primary camera with 15x optical zoom, and three additional 12-megapixel dual camera systems. Each deck will be powered by as-yet-unannounced Snapdragon 855 octa-core chips, and get their own 8GB RAM modules, along with a total of 512GB of storage. Oh, and you’ll also find a scroll wheel on board for some reason, as well as an emotional machine-intelligence processor for a ‘next-gen mobile gaming experience,’ and a lip-reading feature to issue commands without letting people around you know what you’re saying. For its asking price of $2,749, I’d expect all that and more in two years’ time. But as we know, Turing’s track record isn’t hot: it failed to deliver even a single unit of its much-hyped phone, and subsequently filed for bankruptcy in February. Still, the HubblePhone shows that the team at Turing has a vivid imagination, and that it’s not thinking about crafting another rectangular slab with which to enter the awfully crowded smartphone market. Maybe this sort of crack innovation is just what the space needs in order to shake things up.